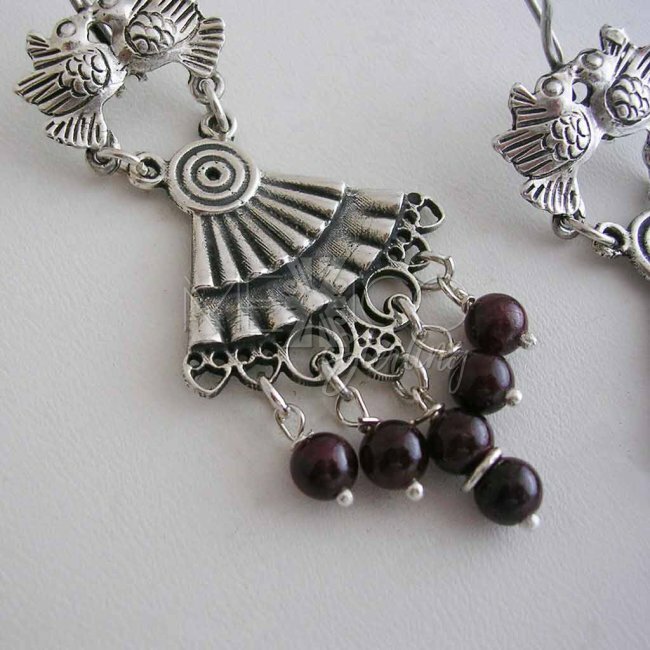 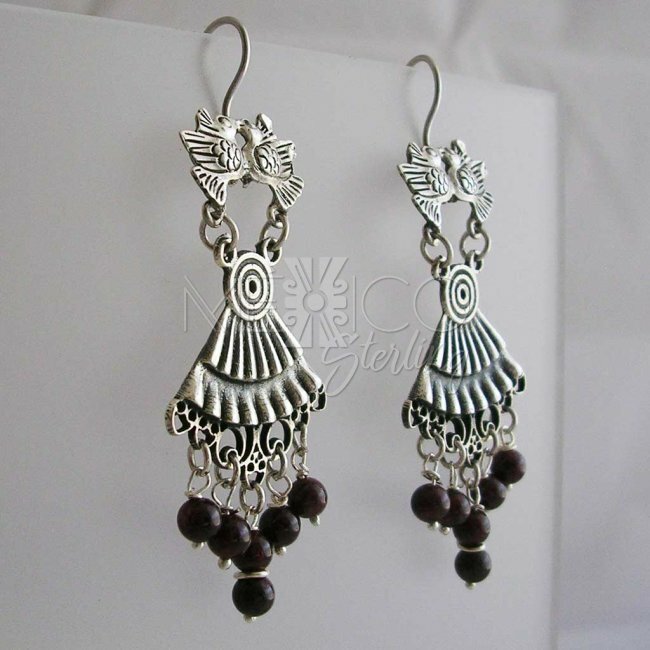 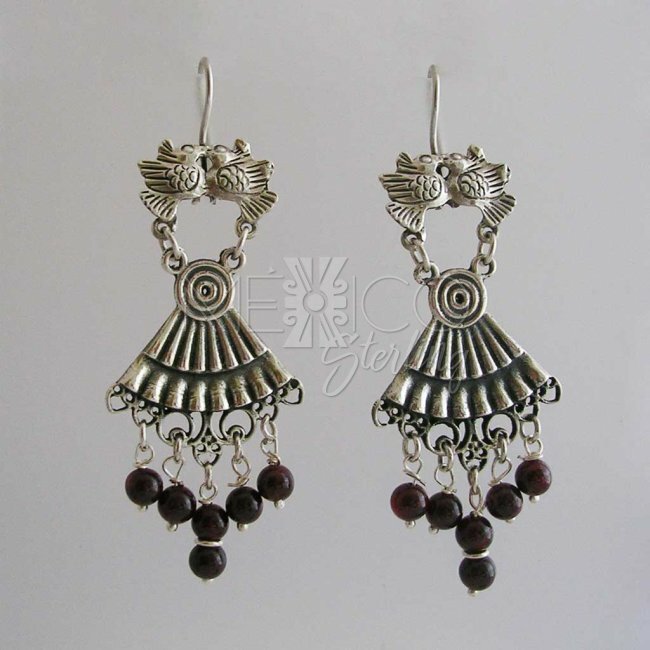 Flying Bliss Taxco Silver Earrings [EAR3236] - $56.00 : Mexico Sterling Silver Jewelry, Proundly from Mexico to the world. 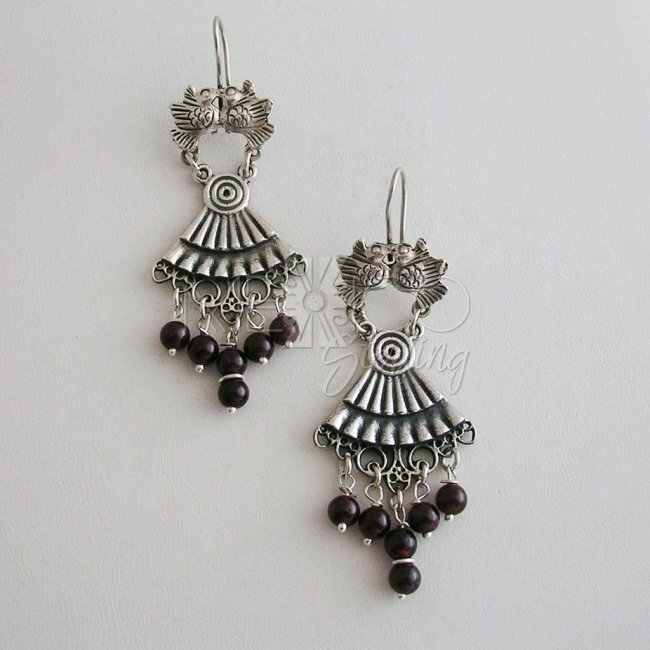 Dimensions: W: 1 1/8" L: 2 7/8"
Gorgeous silver pieces of jewelry, these piees carry a beautiful design, full of movement and life. 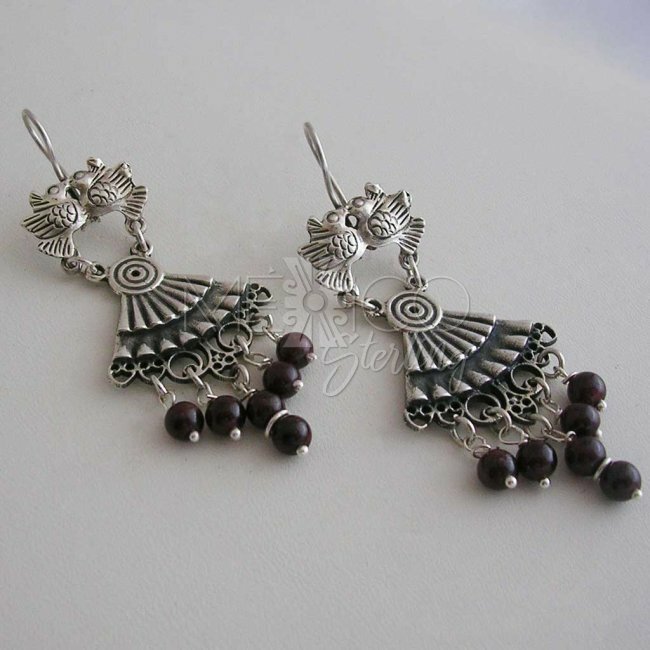 They are crafted with a rustic finish and a nice ethnic look that will turn heads. 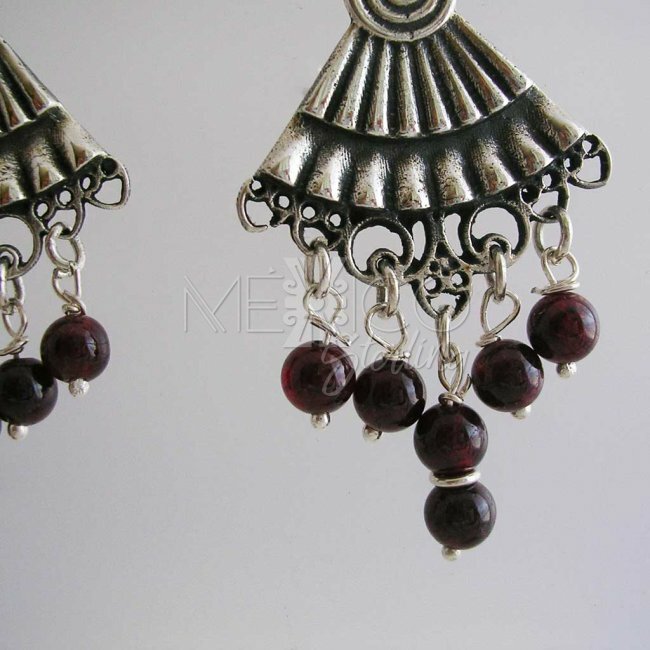 The dangling beads are natural garnet stones. 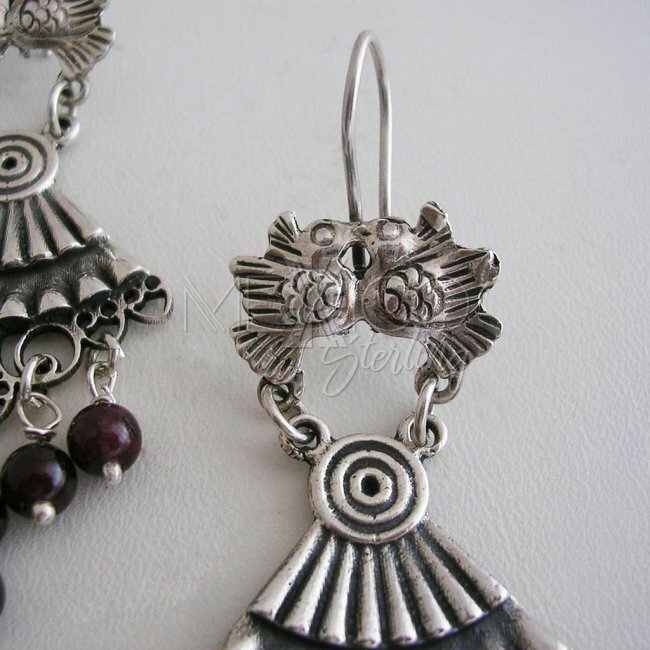 Please take a look at the additional pics, formore details on these pieces.